NOTE: This property previously was advertised as consisting of 35 acres. 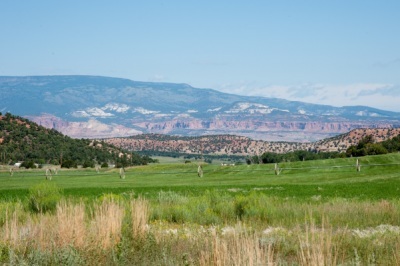 The owners would now like to sell their entire parcel of 67 acres, rather than part of it. 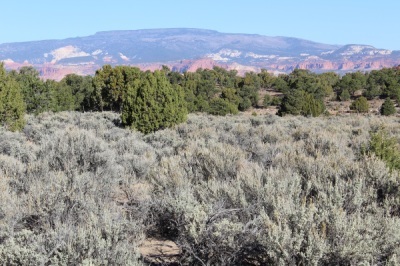 Beautiful, unspoiled 43 acres with sage leading to higher land with pinion and juniper. Many nice, level spots to build. 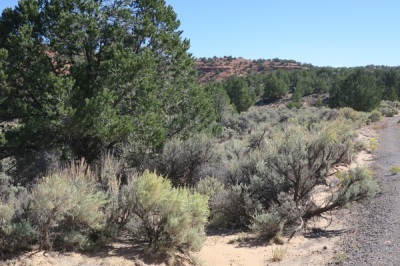 Adjacent to BLM on the south and the west providing access to miles of riding, hiking and exploring from the backyard. Pretty views of Thousand Lake Mountain and Boulder Mountain. Access from Highway 12. Well permit. No restrictions other than Wayne County ordinances. Six, pretty tree-filled acres with good, certified well, electricity and septic system. Was formerly an RV park with hook-ups still in place. Healthy tall pines and good access road from Highway 12. Perfect for a residential lot. Possible to resurrect the RV park through Planning and Zoning. Needs refurbishing. 1850 S. Highway 12.